Magento vs BigCommerce: Which Ecommerce Platform Should I Opt For? If you are divided between Magento vs BigCommerce, you are at the right place. This article will help you decide which platform is best for you and which will help you grow your business at exponential rates. This article, Magento vs BigCommerce is focused on teaching you the ins and outs of both platforms so you can make an informed and calculated decision. Magento is one of the most versatile and flexible platforms allowing you to customize its look to your desire. Its front end is, therefore, one of the many reasons that people choose Magento because they are not limited by templates and built-in designs. Given that design and development for Magento require experience, learning it is worth your time and you can then play around with the platform to give your customers the best online shopping experience possible. In the non-open source genre, BigCommerce gives Magento a run for its money where frontend features are concerned. Also, BigCommerce is easier for beginners to handle and manage since it has a simpler interface, and with many features like product filtering, search, live chat, and options for coupon codes, etc., the frontend on BigCommerce works well for all merchants. Here’s where things go a little sour not just for Magento but its users as well. Magento is by no means a platform for beginners, and despite the large community of people waiting to help you out and the knowledge base and documentation at your disposal, you need a lot of experience to set up a store on Magento. It’s not a beginner friendly platform so don’t go near it unless you’re a developer yourself or have enough budget to hire one. BigCommerce, on the other hand, is easy to manage and you can do pretty much whatever you require with ease. Going through the platform is intuitive and even if you have problems, you can always ask around in forums or call up the support center for advice. That pretty much does the trick for most users, so it is a better choice for people who are not experienced developers. Magento is known for its SEO capabilities, and the SEO friendly options it provides, allows merchants to help spread the word about their store and products they are selling easily. You also get access to Google Content API and Google sitemap. 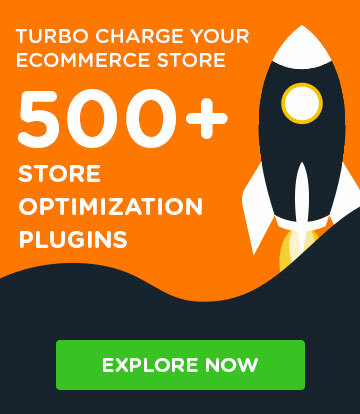 As far as social media and marketing are concerned, Magento may not be a powerhouse since it has very basic features to allow you to win it big in the social media realm. However, you can create many promotions and different options to your customers and all that come built-in with Magento. Many people advocate that BigCommerce has many features that make it more SEO friendly than Magento. It has both a Google sitemap and robots.txt file, so it has an element of truth to it. You can perform professional SEO settings for your posts and pages, and apart from that you also get access to a program called SocialShop that allows you to publish on Facebook and use Twitter and Pinterest for promotions, etc. If everything were to be weighed, BigCommerce would get the edge in this department since it is focused on helping you win big through social media and SEO! Security is one thing Magento is famous for, and the developers behind the popular platform to ensure that Magento’s security is always at the top of its game. 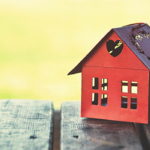 With numerous security updates and SUPEE patches released frequently, Magento is a safe haven not only for developers and store owners but for customers as well. 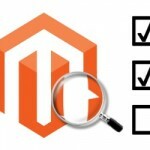 So to say, Magento provides one of the most robust security for online stores. Apart from that, you can also tighten the security on your store to your satisfaction by adding extra layers of security yourself. BigCommerce is no slacker in the security department as well. The platform provides enterprise-level security along with hosting and domain name. It is also PCI Level Compliant that keeps the hackers at bay and the hosting is provided through SAS 70 Type II certified servers. 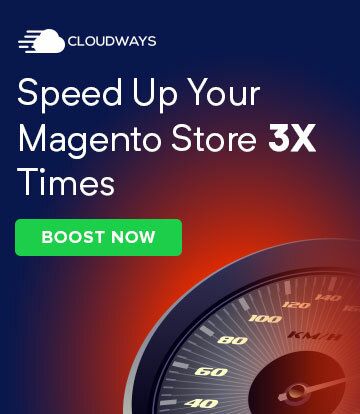 However, you must keep in mind that Magento gives you the leverage to tighten security manually as well as regularly sending crucial updates to maintain it! When it comes to pricing, Magento usually gets praised since it is an open source platform and does not require you to shell hundreds of dollars to acquire. 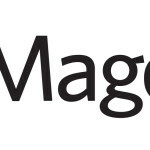 You can simply download Magneto from the official website and install the platform on your host account to get started. The only fee you are paying is for the website hosting fees. 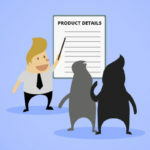 Otherwise, for a price of $0, you get access to Magento and its goodies including hundreds of templates and extensions, and even a community that you can join. When it comes down to serious business, you can simply opt for the Enterprise Edition that will cost you a fair amount of money, but you can take your online ventures to the next level and sell through greater success. As far as BigCommerce is concerned, pricing starts at $29.95/month, and an additional transaction fee of 1.5%. With this fee plan, you can sell an unlimited amount of products and you also get unlimited bandwidth and amount of storage. You also get many other features, but once you want to step up your game, you can opt for the $79.95/month package or an even pricier $199.95/month. Moving up the ladder, BigCommerce offers custom pricing for Enterprise solutions as well and which is without any transaction fees. With the Enterprise plans also come with features to match. However, for providing a world-class online shopping solution for free and with options to upgrade, Magento is the clear winner here. Support is a crucial feature that every user needs when stepping onto a platform because it helps them through the problems they may come across. Magento being an open source platform has a huge community from around the world that supports the users and if you run into any problems, you can simply ask the community and they’ll help you with all the resources you need. BigCommerce offers 24/7 dedicated support since it is a paid platform, so you can call, email, or catch them for help on the live chat. They have a knowledge base as well where you can find answers to most of your problems or you can ask your questions from the community in the forum as well! There are advantages and certain disadvantages to both platforms, but a lot depends on your needs and requirements. Also, your experience in the field can play an important role in deciding which platform you should go for. However, with this comprehensive comparison of Magento vs BigCommerce, we can safely say that if you can afford a developer, then Magento is the better choice. It gives you better features and flexibility to take your store to the next level of ecommerce. Want to share your thoughts or feedback for this comparison? Let us know in the comment box below! Q1. Magento vs Bigcommerce which CMS is completely free? As Magento is an open source ecommerce platform, so their community edition is free but to add functionalities you need to use extensions and there are both free and paid extensions. Also, if you want more functionality and advanced options which community edition doesn’t then you have to go with their Enterprise edition. On the other hand BigCommerce is not free, however, they offer a 15 day trial period. There are several BigCommerce apps and they include both free and paid. So, comparing Magento vs BigCommerce to know which is completely free, neither of them are completely free. Q2. Magento vs BigCommerce which CMS is most secure? When you compare Magento vs BigCommerce in terms of security then it is not an easy competition, as both platforms offer a high level of security. However, Magento has an upper edge as it has better security protocols as compared to BigCommerce, as we have discussed before in the article. Q3. Magento vs BigCommerce which CMS is best for my site SEO? When you compare Magento vs BigCommerce in terms of SEO then again it’s a tough decision to find a winner. Both have great SEO capabilities but BigCommerce provides more SEO options as compared to Magento.